I have made a mistake on the amount of green fabric we needed for the flying geese 4th border. 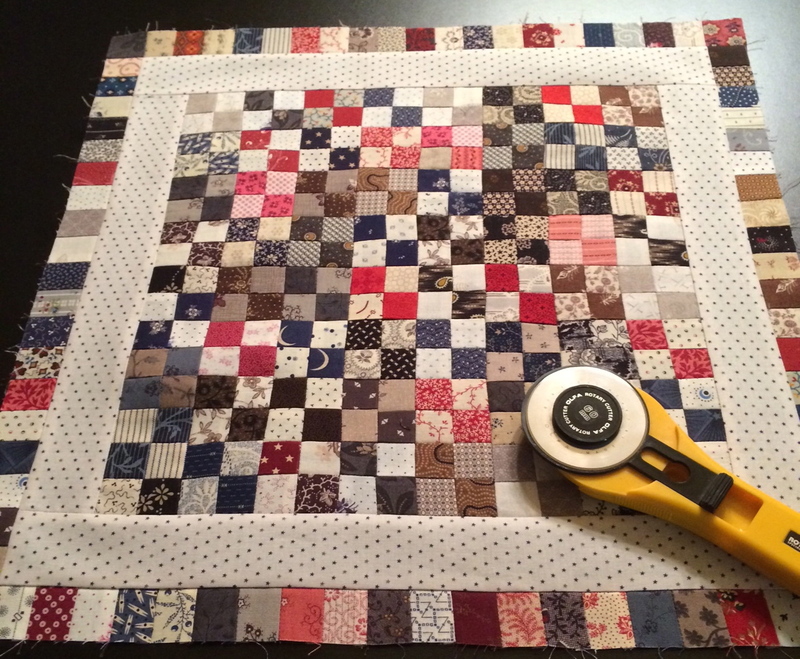 You will need 2 more strips of 2 1/2″ x 25 1 of each green to make the 48 squares. We will send the 2 strips in Part 4 kits. I’ll hurry and get Part 4 done so we can get them out to you sooner. Did your local shop order this new line?…Better ask them…cause your going to want it! I know I have many shop owners that follow this blog…you have until Labor day to get that order in and order lots…cause I am going to design more cool stuff with it!!! 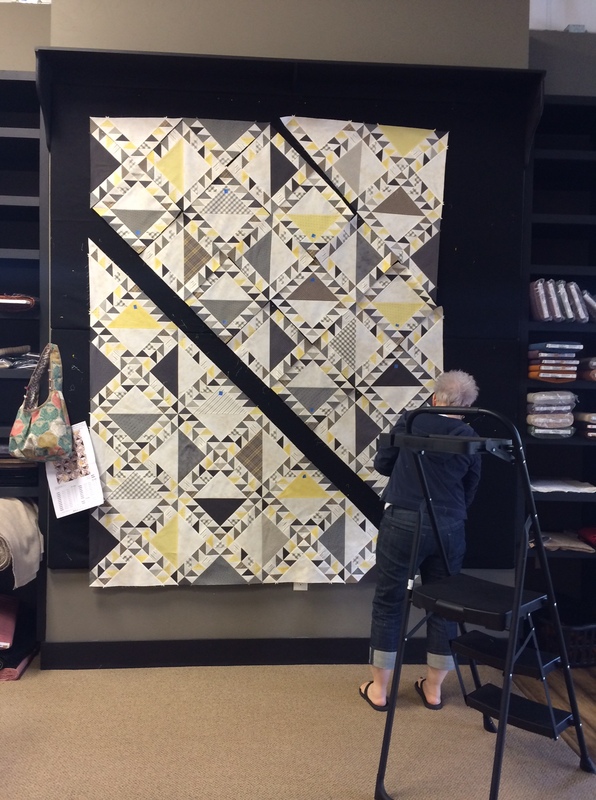 I think Lakeside is my favorite so far….I just want to keep creating quilts and other “things” with these fabrics!!! It is timeless….my boys and everyone here has commented on it… how refreshing it is…it could even be termed “modern”, I prefer “current”….it is going to work great when we redo our lake home…with the warm woods…the galvanized accents, board and batten( I think that is what it is called (tall wainscoting)… I can’t wait!!! 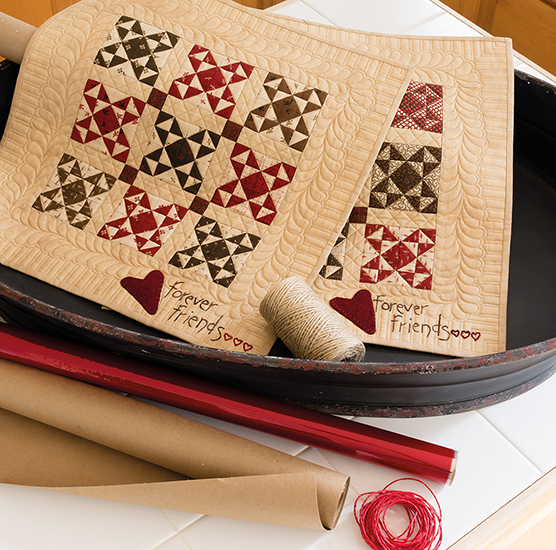 Carole Crow is putting this top together on the design wall….wonder what Linda will quilt on these triangles? Did I mention it has 24 wovens too!!!! 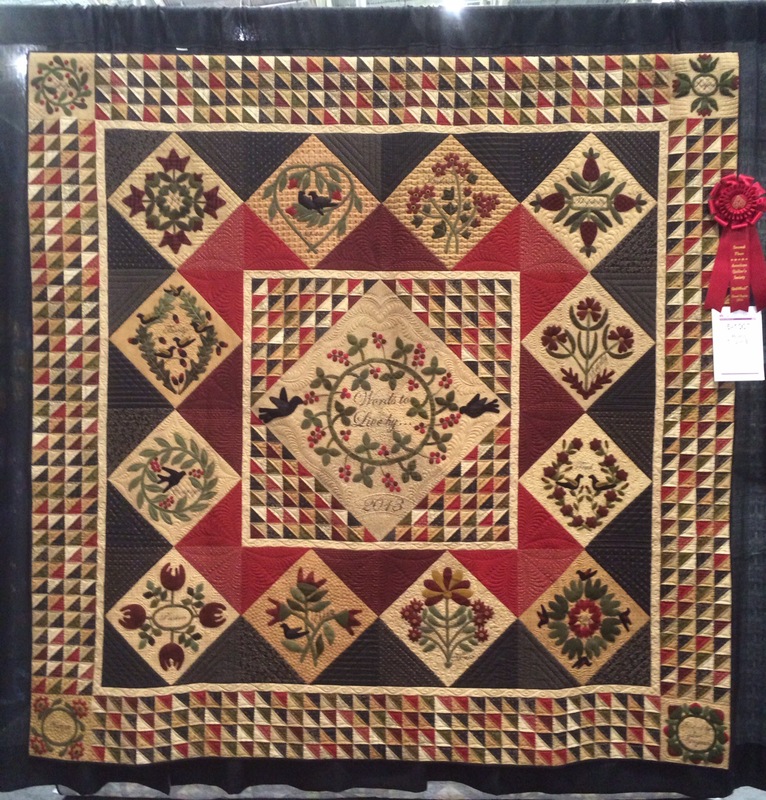 Size them up and they are no problem to piece with…I see so many woven fabrics in my antique quilts! We have a discrepancy in the border for the freebie in the pattern….Please cut them 3″…the diagram says 3…the directions say 2 1/2″…too much pattern writing for me….but nothing major at least! Thanks for letting us know so we can tell everyone! Sorry for bugging you so much today…but it is nice to find these boo boos before we send out this pattern to other quilt shops and bring it to Houston market this Fall… and hopefully we can reach everyone who is making this…we love social media! 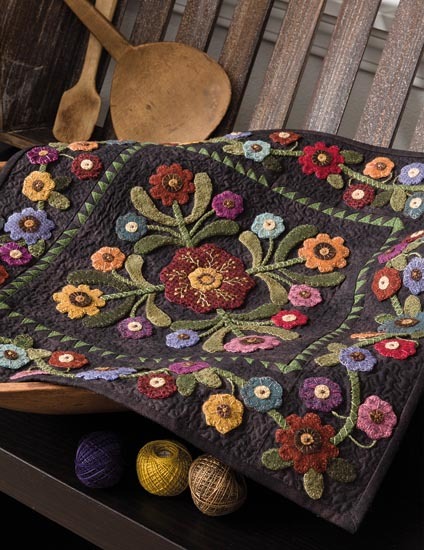 This is why I shouldn’t say anything about finishing until it is time…I pretty much ALWAYS change my mind…so I added the inner and outer borders this is the extra border you are signing up for to pre-order if you so desire…if not just make the quilt with the 4 patches for the 76″x 88″ quilt. 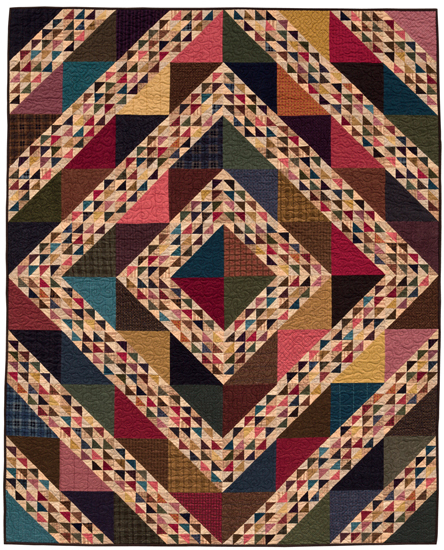 This is an option…for a 91 x 102″ quilt…which is shown below…sorry if this has created any confusion…blame it on the designer in me…and the fact that I want more bed quilts for the Lakehouse! 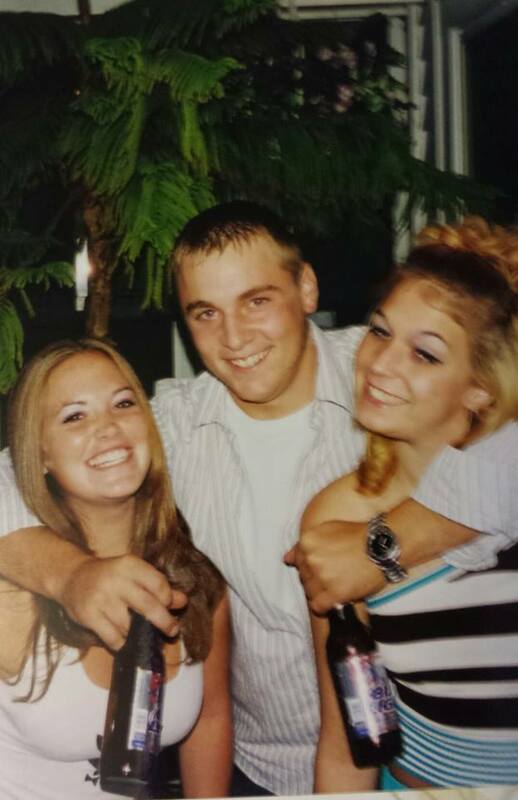 Thanks Pam P for bringing this to my attention! Week 13 Block of the week..
Just a heads up…w e forgot to reverse the numbers and letters in this block on your tracing sheet…you can flip it over trace them in reverse and then trace to your fusible…I know you probably would figure this out, but I just want to give you a heads up so you are aware! Thanks Julie for noticing this! 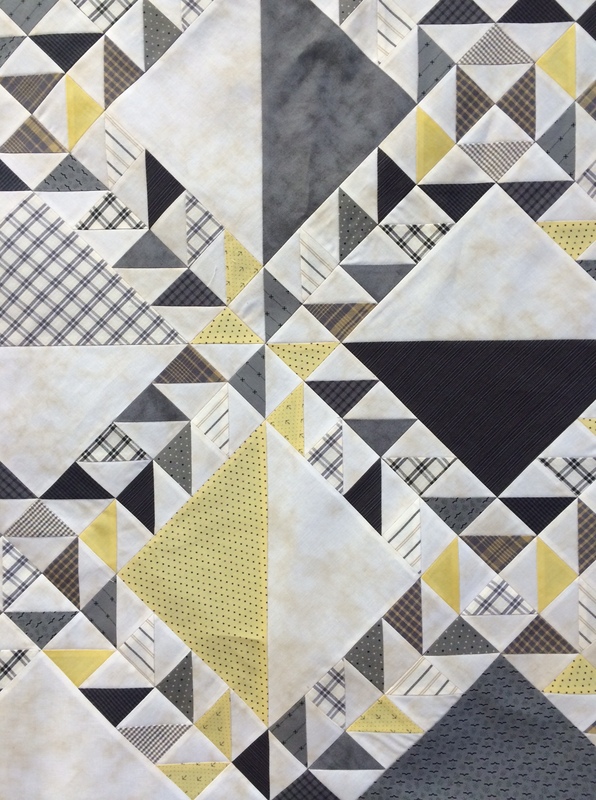 Also I am done piecing Opposites Attract for our pieced version of this years SBOW! 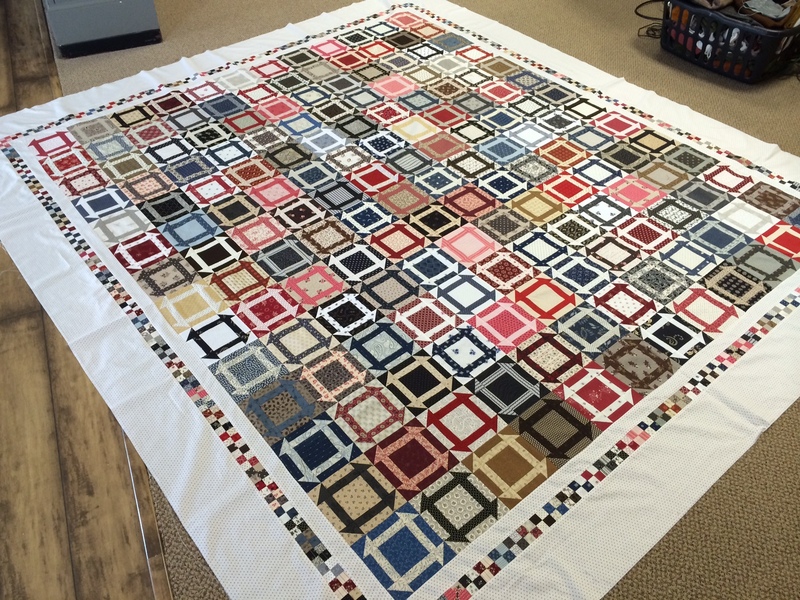 (That’s a lot of blocks)…But the quilt turned out awesome!!! 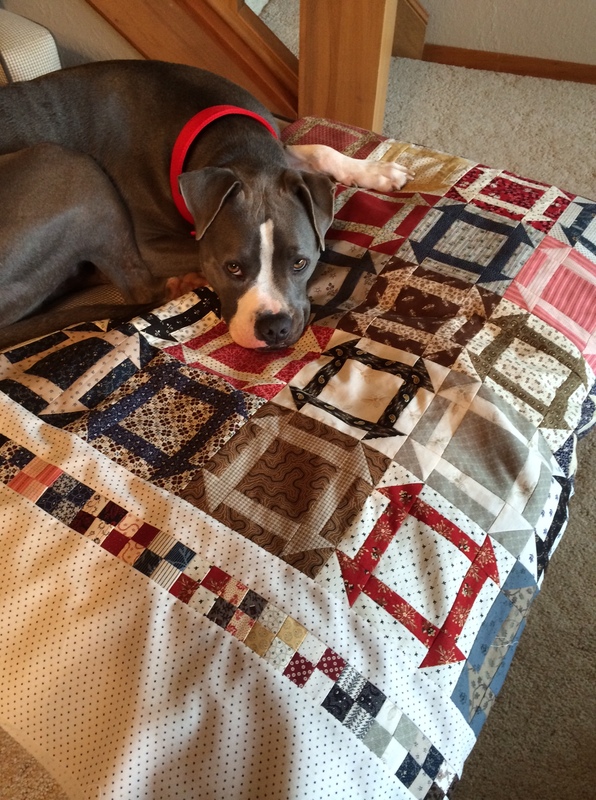 Below is a peek at it and as you can tell Jeter loves it too…also I made something out of the leftovers, which made a nice 16″ little quilt or table mat….When I get to the studio I will post a full picture of the Opposites Attract quilt. Your card will not be processed until we ship. I am posting this hoping you will order soon as I need to place my order with Moda by Labor Day. I don’t want to order 700 yards and hope you all would want it…lol…the joys of being a shop owner! 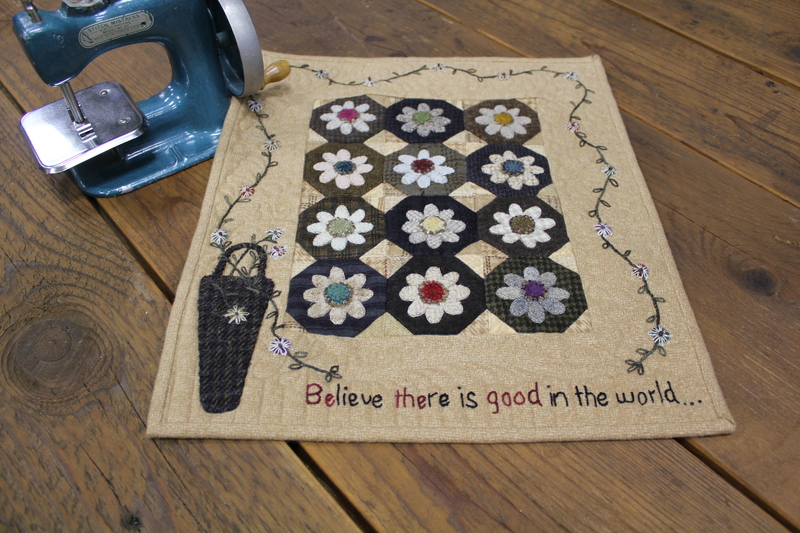 Piece or Stitch today…you deserve it! 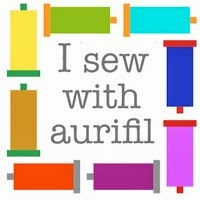 Kits are shipping now for part 3 of the stitch along…they will be $7. Remember to order yours on the website if you are not set up to get them automatically. It is under NEW on the site….www.primitivegatherings.us/shop I apologize if this link doesn’t work…I am trying to post from my phone! And can’t test the link.